In this ASL Extra we are proud to present Mike Stubits and Rich Spilky as our special guests. Join Dave Kleinschmidt as he provides a play by play of the Advanced Squad Leader scenario WO18: A Quick Strike. 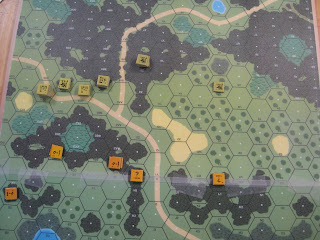 Mikes Americans move against a crafty Japanese defense around the Munda Airfield in New Georgia. Break out your PTO rules, boards 74 and 75 and follow along.